I completed a 16 miler this week! Woo woo! My training plan only called for 14 but the timing just seemed right. Weather was decent (well it was a bit damp and breezy), dad was on the bike and a 3-day weekend helped me to fit in a stress-free 16 miles. It’s important to have a plan yet stay flexible because life can get in the way! Next weekend I am running the Jingle Jog on Saturday morning then going to the CCR Christmas party on Saturday night and I work all day Sunday so I was starting to get worried about where/when/how I was going to get it done. My goal for the long run was to take it slow and stay comfortable. I’ve run 16 miles before but it was my longest run since the Cape Cod Half and the first time running over 13.1 miles since the Houston Marathon almost an entire year ago. I was definitely reminded how much distance hurts and came to the realization that Miami will be here before I know it. Monday we returned from North Carolina! After a long day of travel, I got out for a quick 3 miles before the sun set. I was sad to leave G so soon after we got home but she was in her doggy day care coma and didn’t want to be bothered. I missed Run Club again after an extra long work day. On Wednesday I opted indoors to get my workout done on the treadmill. I hated every minute of it but I was thankful for my headphones and not getting stuck running in the dark. Georgie and I slept in for what seemed like forever on Thursday morning but got out the door for our own little Thanksgiving Turkey Trot! Friday was my long run and Saturday another short recovery run with G to round out the week. My updated long run schedule until the race is: 12, 16, 18, 20, 14, 20, 14, 10, 26.2! 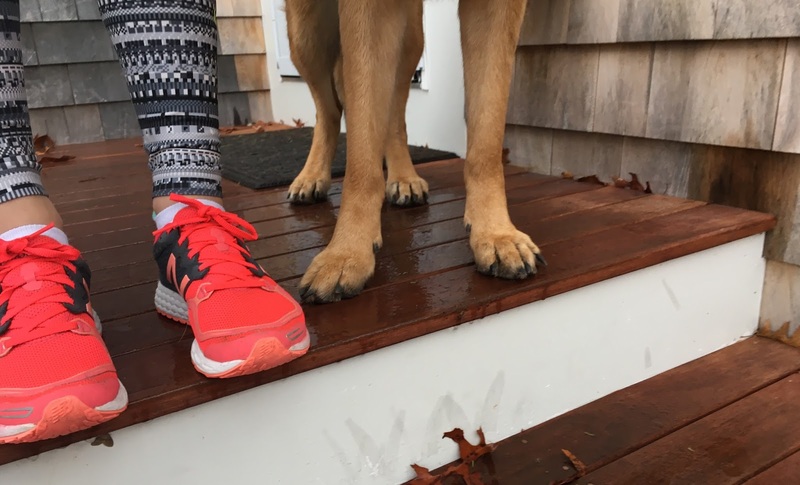 · I signed up for the Newport Rhode Race! · I surpassed my 2015 mileage. Last year I logged 815 total miles and I currently stand at 816 miles for 2016. 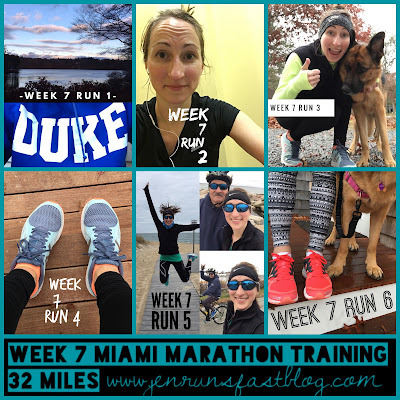 · 9 weeks until the Miami Marathon! 16 miles means a big piece of pie.